As we reported back in May our popular 7th Jean Potts Memorial Trophy bowling competition raised a total of £406 for the British Heart Foundation. 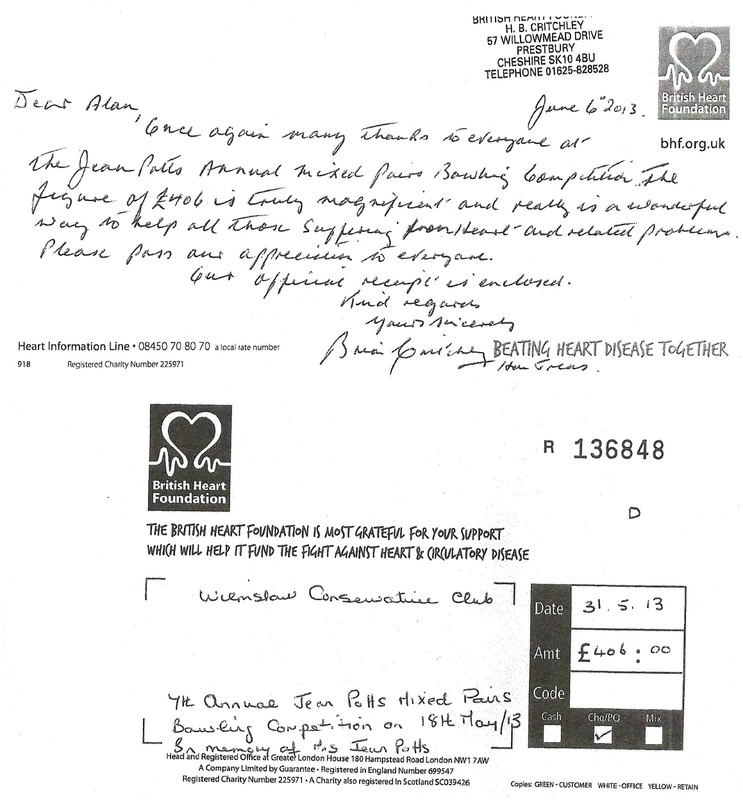 In June Alan Potts received a letter from the British Heart Foundation thanking everyone for their generous donations. The letter appears below (click on the image to see a larger version).